The new troika in the Middle East? recent agreement between Saudi Arabia and Egypt over the Tiran Island? 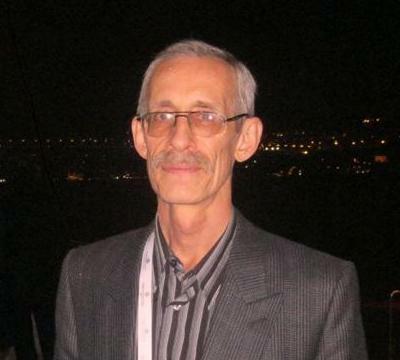 Do the Israelis gain from the deal? 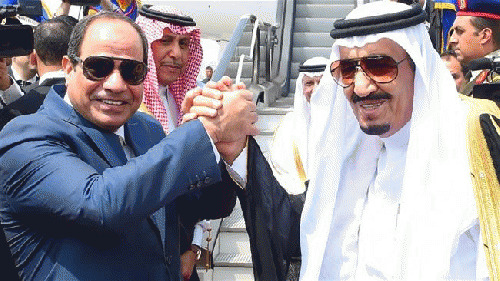 The handover is part of a plan to build a bridge from the Saudi mainland to Egypt. The move came during a five-day visit to Cairo by Saudi Arabia's King Salman, who signed 20 agreements with Egyptian President Abdel-Fattah el-Sisi, including petroleum supplies over the next five years to the tune of $23 billion, which Egypt will be able to pay for over 15 years. 80% of diving spots are in the Straits of Tiran, a snorkeler's paradise, not something the Saudis will take advantage of. A bridge supported by piers in the water will damage coral reefs which are extremely sensitive to pollution and sediments. Because the objective of the bridge is to increase trade it will transform Sharm el-Sheikh from a resort that offers snorkeling and sunbathing into a commercial hub. According to Haaretz, Israel was notified of the Egyptian-Saudi maritime agreement two weeks before it was made public and did not oppose it as long as the security arrangement in the straits of Tiran, as fixed by the peace treaty, are honored. This, Riyadh has confirmed, though it continues to maintain the pretense of nonrecognition of Israel, and insists the Egypt-Israel peace treaty is not part of the deal. It is hard to know what is fact vs rumor on the relationship of the Saudis and ISIS. Though rich Saudis have been channeling funds to ISIS-type groups for years, officially, the Saudis are fighting ISIS along with the US. In 2014, the Saudi Interior Ministry formally designated ISIS as a terrorist entity along with Jabhat al-Nusra, the Muslim Brotherhood, Yemen's Houthi rebels, and Saudi Hezbollah. "Our relationship with Saudi Arabia is good, and we hope for more peaceful relations between Israel and Saudi Arabia," said Israeli Prime Minister Benjamin Netanyahu in December 2013. Israel's Energy Minister Silvan Shalom led a delegation to the International Renewable Energy Agency's annual conference in Abu Dhabi in 2013 in the first such visit since the Israeli assassination of a Hamas commander in Dubai in 2010.